A mother alligator near her nest in the Ocala National Forest in Florida felt threatened by a 15-year-old girl who was floating on a raft. The river in Alexander Springs park inside the national forest, is filled with alligators, and this teen floated for her life away from the protective mother. Jordan Broderick made it to a tree, and stayed in it for about an hour until a Sunshine State lawman equipped with a Bushmaster, rescued her. 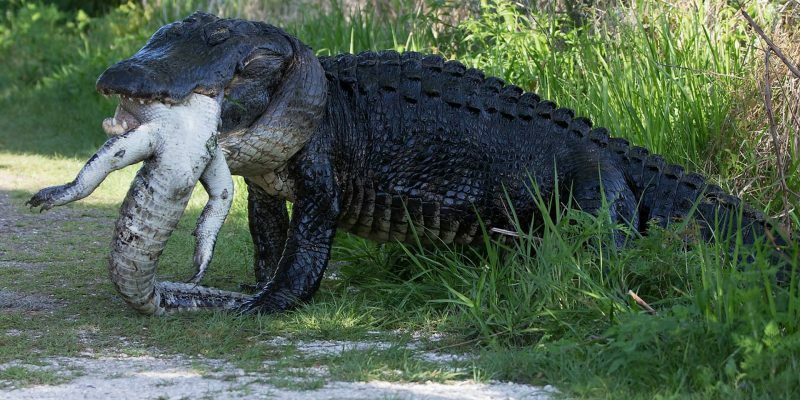 The Washington Post reported that the gator was later recovered with a bullet wound in its head. A Sheriff’s Office spokesperson said it was nine-foot long and her nest was found nearby.